It has been 3 years since I have built up a PC for myself and the results today were satisfying. Workstation use, gaming & working with music were the main drivers for this particular setup, with a view to chop/change/modify at any stage. I am always changing things as my nature is dynamic. i6700k was the obvious choice, together with an MSI Pro Carbon Z170 M/board. I wanted to go in a different direction from Gigabyte/ASUS as the board offered the right aesthetics I was looking for and had a neat RGB LED strip on the edge of the board, which is kinda cool when you apply a meteor effect to the LEDs. The NVMe SSD as a boot drive was of the most interest to me because 2,500MB/s read, >1,000MB/s write; that's why. Coupled with an 850EVO series from Samsung but in hindsight, given I use very little space as I store my data externally, I would definitely look at the 512GB version of the 950PRO and remove the 850 entirely. None the less, very fast system, games run very quick over on the 850 EVO. GTX1080 Founders Edition - I have been following tech news since 2002 (building for that long too) and nothing quite swept me up in hype and excitement as the announcement of the Pascal GPU lineup. Previous investment was a pair of GTX560Ti cards and this just brought a whole new light of appreciation to PCs and PC building. H100i cooler - True, tried & tested. The colour accents matched the GPU, RAM & the motherboard. Non-intentional but cam together nicely. Few mods include the 6 x Thermaltake Riing RGB LED fans and the Phanteks RGB LED strip. So many variations to play with, built of course into the wonderful Phanteks Evolv ATX Tempered Glass Edition. I thoroughly enjoyed building into this case and the slight tint on the TG panels really takes the edge off the lighting, removing any overkill effect. This is great as it will be spending nights in the living room. Damn!!!!! 1200 AUDs, holy crap and I thought 1000 CAD was bad lol. Great build though, and great cable management! I get excited whenever seeing a solid cable management in this great case. Might as well just buy another couple 1080s with that power supply (lol). Just use the extra for PhysX ;). Looks great man! Beautiful clean setup for an air-cooled machine. Good work on the cables and lighting. There is plenty of room in there if you decide you want to do a custom watercooling loop in the future :P Nice job! Do you have the model of the LED Strips you used? I wasn't able to really find a decent RGB LED Strip for this case. 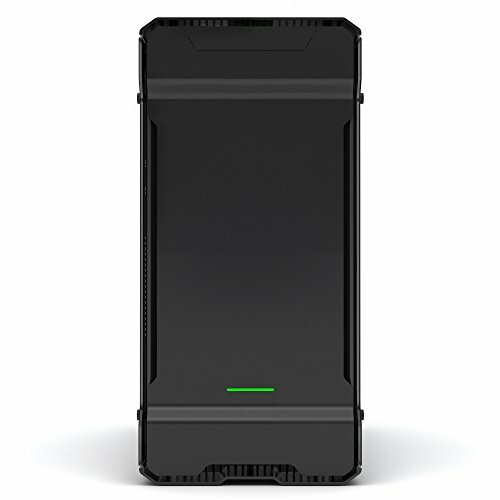 The H100i is listed on the parts list, the H100i v2 is in pictures. Good build though. are the front fans AF or SP? I love the PSU for any possible SLI moves later on. Great build. This is amazing. Just wow. Clean Build, Beautiful Cable Management. Super clean, love the green. Looks amazing. Has a lot of parts that I want to piece together. Was thinking of a titanium color scheme with the movie/ram combo with an AIB GTX 1080. Seriously though. Looks amazing. Nice build dude. The only thing I would comment on is the overkill PSU. The GTX 1080 is more power efficient than the previous generation. 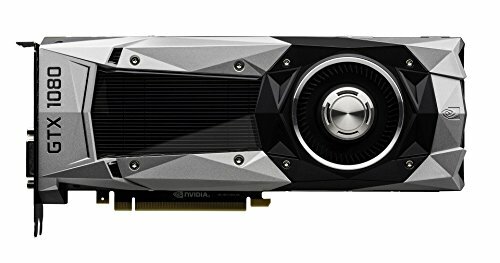 Two 1080 in sli would only require 850w PSU. Btw I'm hesitating between the Corsair 450D or the Evolv ATX Glass for my next build. But the more I see Evolv builds, the more I lean toward it. This board turned out great for my intended use. My hesitancy was that MSI was a manufacturer I had never used. Once the ice was broken, I really quite enjoyed the product's aesthetic appeal, and the RGB lighting above the 24pin ATX connector is a bit of fun to play with (only during Windows though). Good looking build! Congratz! Is it loud? This machine runs very quiet, thankfully. might i ask where did you place the rgb controllers for the fans? LOL. That's exactly the way I have mine! Awesome build, man! The HX1000i idles at 27c degrees with the fan at 0 rpm. Fixed fan speeds bring this down a few degrees but have not tested the load temp as yet. 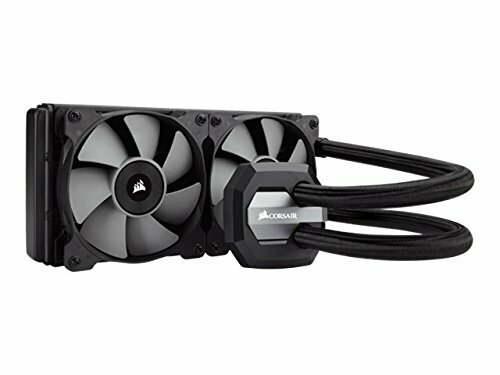 Did you have to buy a fan splitter to get all the fans connected? Beautiful build! Each Thermaltake RGB controller (2 of them, each included in a 3 pack purchase) has enough ports to connect all fans, leaving me with 2 connections to be made to the motherboard. Awesome build and definitely helps inspire my upcoming one! Question: What cable tidies did you use in the front of the case to beautifully spread out and align your cablemod wires? I'm assuming here based on the fact that the cables are from cablemodz, but I think he used the cable combs from their web site, they do a fantastic job of keeping them aligned and looking nice. I love this. Only question is where is the fan LED controllers mounted? Sorry for the late reply. There is a gap between the slide out tray (Where the top Riing fans are mounted) and the ceiling of the case. The are tucked in there. Very nice build! Super clean and love every component you used. Would have thought you'd go with a silver color on the sleeved cables to match the GPU and Dom plat memory but I'm sure you can always switch that up. Great job man! Thanks dude. As strong a start point I could perceive at the time. I was honestly most excited that I was slapping a GTX1080 inside. The rest will come through fine tuning. Glad you enjoyed this. Quick question. How did you fit the corsair dominators? I am thinking of getting the 16x2 kit. I heard that they can't fit in it if the h115i are top mounted. I am also using the evolv atx TG case and the corsair h115i. If still relevant, I installed RAM onto the mobo outside of the case. why only 4.4 ghz on the 6700k? Im getting the same mobo/cooler so im curious. The OC Genie makes that really easy to do huh? I dont blame you on not wanting to take it too far. I basically have done the same thing with my 6600k (4.1 GHz) on an MSI motherboard since I dont feel like trying to to get every ounce of OC out of it anyways. One-click OC For The Win and its very stable. Dig the build, I have the same case, and looking at the same mobo. Which position for the radiator did you stay with? Any issues? That vid card... Just 4k 60 fps on max games... More than I would spend on an entire computer... Are you a insane YTer or something? The cable management... GREAT BIULD!